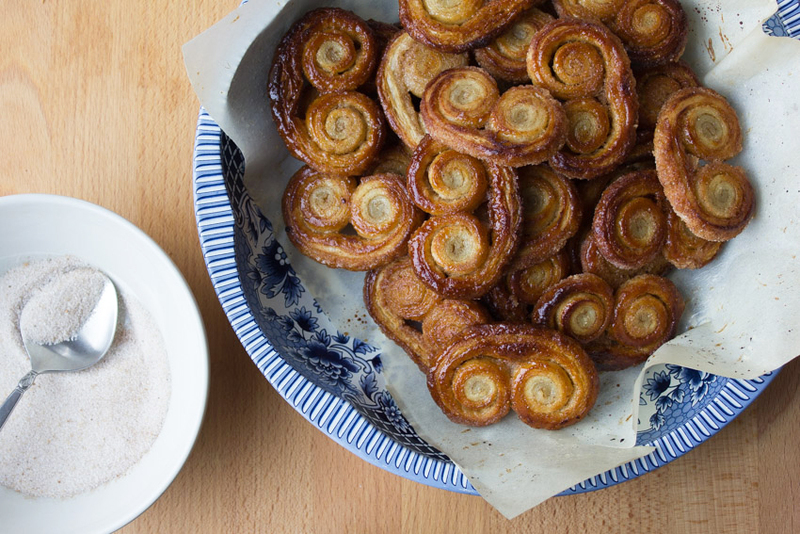 Chai spice palmiers: part pastry, part cookie, part candy, part addiction problem. 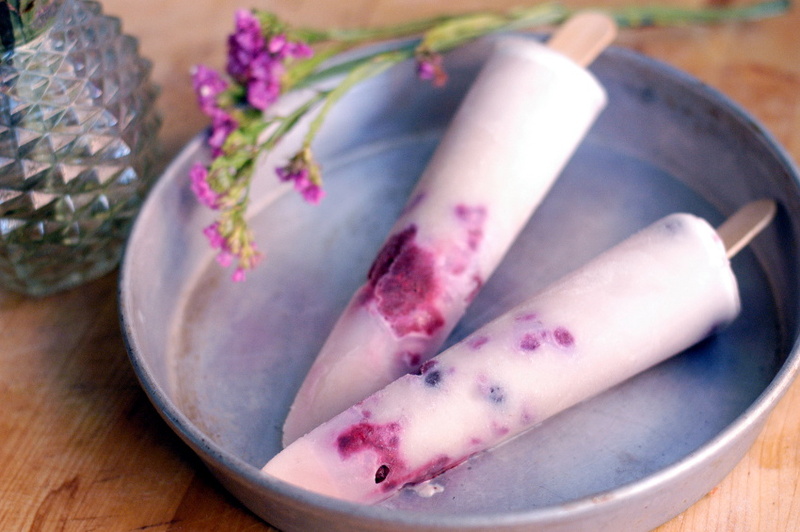 Getting to the roasted berry mixture was like a little treasure hunt with these ice pops. I probably ate them faster than necessary just so I could find a blueberry or raspberry in the mix. I had been thinking of making polenta cookies, but got the urge to bake before I bought any polenta. The next best thing? Cornmeal. 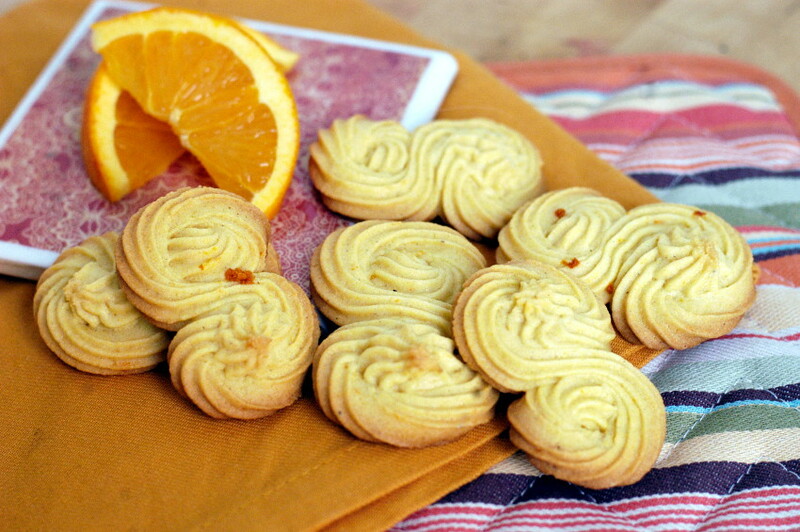 I love the smell (citrus/floral), texture (slightly soft yet gritty) and taste (awesome) of these cookies. They’re the perfect little companions to tea. Or wine. 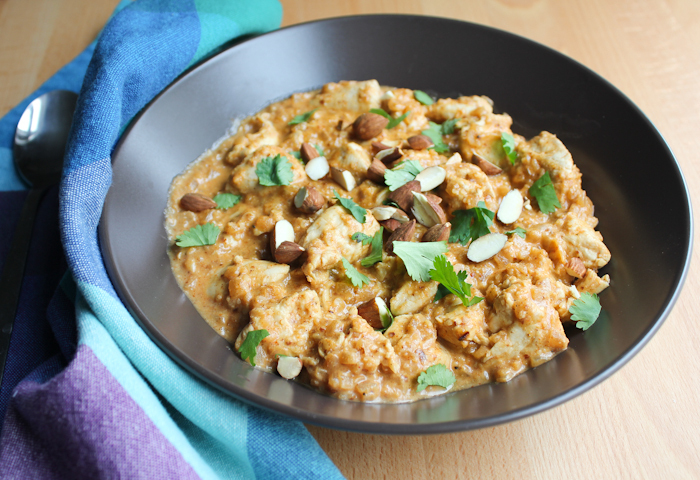 Chicken korma is one of my favorite dishes to order at Indian restaurants. Its yogurt-and-almond-based sauce is like nothing else. And considering how simple this recipe was, it might become one of my new go-to chicken dishes to make at home. The list of ingredients seems long, but you’ll already have most of them in your pantry. Beware, though, cardamom, the one ingredient I didn’t have, cost close to $10 for a jar. Compared with my other salads, this was definitely the most tame. 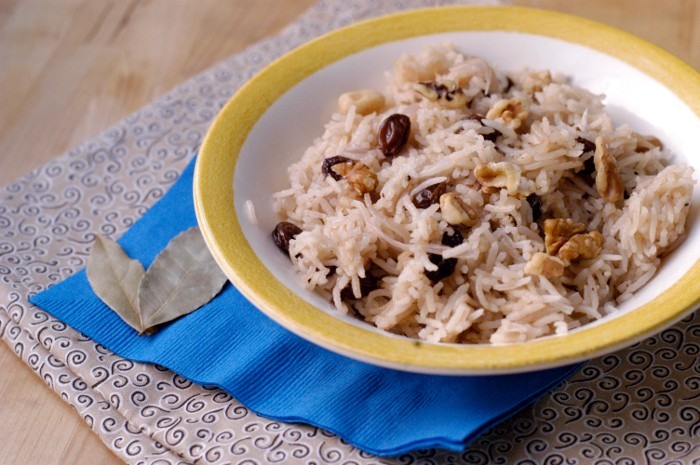 Although it wasn’t as jazzy as the other salads, I really enjoyed the soft flavors from the spices and the sweet raisins that are all plumped up because they simmer with the rice and spices. This salad would be best paired with something else, and I’m considering picking up some salmon to go with my leftovers. An Old Fashioned is such a velvety, old lounge drink and adding spice and warmth plays right into that. Place the water, sugar, cardamom, star anise and cinnamon in a small sauce pan over medium heat until the sugar dissolves, being sure to mix occasionally. Bring the mixture to a boil, cover, then remove from heat. Strain the whole spices from the simple syrup mixture. Divide the cherries and oranges between four cups and muddle (no muddler? Just use the end of a wooden spoon or another blunt-ended object). Mix the bourbon into the simple syrup mixture and whisk. Ladle the drink into each cup. If you want to dress the drink up even a little more, mix about 2 tablespoons of sugar with 2 teaspoons of ground cinnamon on a small plate. Wet the edges of you glasses before adding any ingredients and rim with the sugar-cinnamon mix. 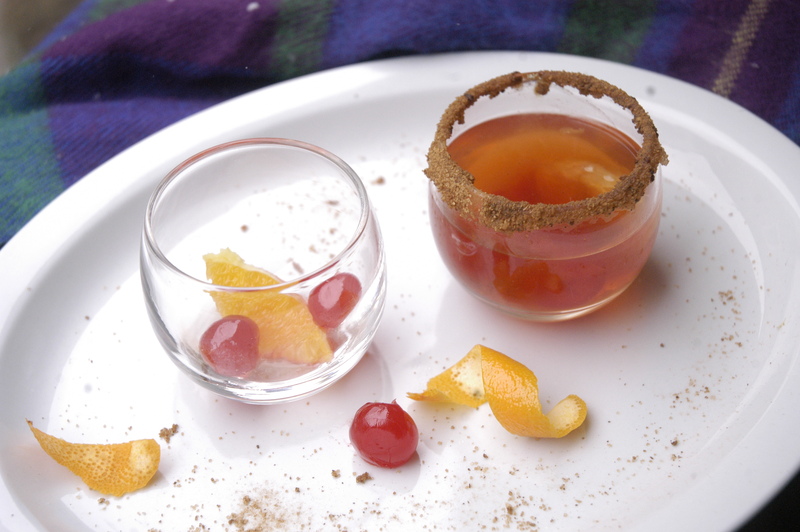 **For the month of January, we’re offering a few recipes for warm alcoholic drinks to take into cold winter nights. All “Warm and Buzzy” recipes can be found here. If I have a choice, I choose loose tea. Allowing your tea to be free releases more of its benefits. Cream together sugar and butter. Beat in eggs, tea, milk and vanilla on low speed until well combined. Slowly add the baking powder, salt and flour. Stir until just moistened. Pour into one prepared loaf pan or three prepared mini loaf pans. Bake at 350 degrees for 50 minutes, or until a knife inserted into the middle comes out clean. Cool on a rack before glazing. Combine sugar and vanilla. Stir in the tea until you reach a desired consistency (I went with thick but runny). Pour over loaf. Makes one regular loaf or three mini loaves. *I used chai tea from Tupelo Honey Teas, based in Pittsburgh. Danielle hand-blends wonderful teas, many of which are organic. I highly recommend stopping to see her at the Pittsburgh Public Market. Otherwise, you can order her tea online — I have now that I’ve moved! Gotta stay loyal. -Good for: Digestion and nausea. Black pepper in chai stimulates the stomach to produce hydrochloric acid required for breaking down food, fennel inhibits bacteria that cause gas and cloves refresh the mouth and throat. Black tea (the base for chai) and cinnamon contain antioxidants and ginger is a nausea remedy that soothes the stomach, according to the Royal Society of Chemistry. -Origins: Chai is actually the Hindi word for tea and is more accurately called “masala chai” or spiced tea. There are numerous types of chai tea and no set recipe, although it is most commonly steeped in boiling water with steamed milk added. Chai is a very commonly found beverage in India and is traditionally served after meals. -Taste: It varies, but chai usually has a black tea base with spices that include cardamom, cinnamon, ginger, peppercorn and cloves. Because of the spices, the smell and taste of the tea has an autumn or winter comparison-flavor comparison. 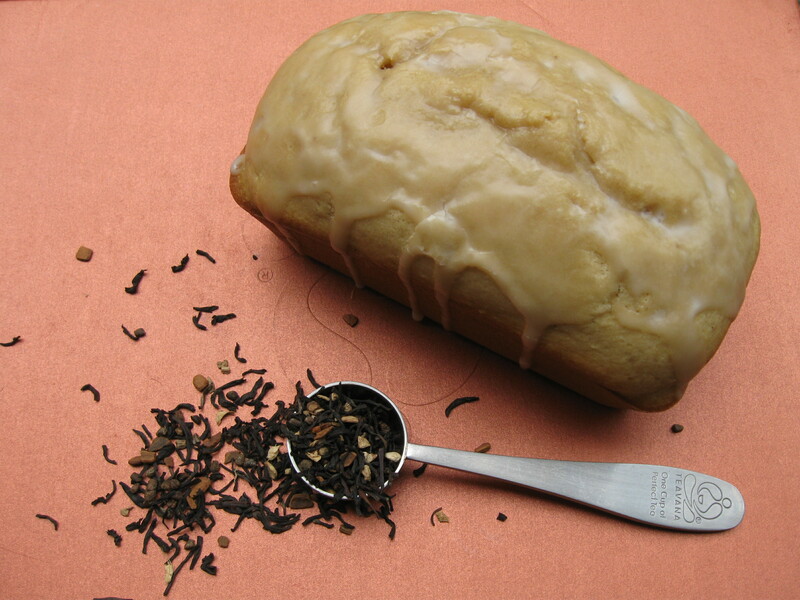 **Throughout May, “Strange Brew” will feature tea-based recipes — all of which can be found here.